When it comes to any type of celebration in Toronto, there is nothing like a bus party! A wedding party bus limo is large enough to hold up to fifty guests, and just as luxurious as a classic stretch limo. You’ve carefully planned every detail of your big day, the dress, the tux, the bridesmaids’ dresses, invitations, cake, decorations, etc…, but what about the transportation? Why not make it easy for all of your guests to get around the city, to and from the airport, hotel, spa, wedding venue, and reception? A bus limo is a great choice if you want your family and friends to arrive together, and have a bit of fun on the way. Companies such as Majestic Limo Services offers great deals on party bus limo services for weddings. 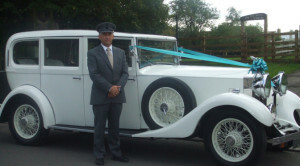 Why choose a wedding party bus limo? Since party buses are larger than other types of limo vehicles, they can hold more people. This makes them ideal for those who would rather have all of their guests arrive to the wedding in one vehicle as opposed to multiple vehicles. In addition to weddings, they are also ideal for bachelor parties, bachelorette parties, etc. These luxurious buses are equipped with everything you need for a good celebration. This is also an ideal choice if you don’t want to deal with the hassle of calling a cab for each guest. After the reception, you definitely don’t want to leave your guests stranded – especially those who aren’t familiar with Toronto. You can simply arrange for a limo bus to keep and take them back to their hotel or airport. One thing you will want to consider is the size of the bus, and the number of buses you require. For instance, you might want to separate the groom’s guests and bride’s guests into two buses. As for the capacity, 25-seat models, 35 seat models, and 45-50 seat models are available. Do you have any types of activities in mind, such as dancing? Or do you want everybody to sit around and relax? If you have a party of 20 people and simply wish to relax and enjoy champagne, then a 25-seat bus is fine. However, if your guests are going to be mobile during the ride, you might want to go with a bigger bus. Take note that all of the passengers’ seats are facing towards the center as opposed to facing frontwards. Party buses are decked out with everything you need for a perfect day. You can even arrange for certain amenities ahead of time for a personalized experience. Not only are they comfortable and stylish, they also feature trendy décor, which includes bright colors and unparalleled ambience. There are plenty of drinks and snacks for everybody at the wet bar. The sound system is top of the line. In short, the buses are like a mobile dance floor or club. If you would prefer a quiet, relaxing atmosphere, you can arrange for that as well. Since Toronto is a big city with weddings every single day, it’s best to book your wedding party bus limo as soon as possible!